Find your future career in agricultural education. Make an impact in your community, state and world. Are you a high school senior committed to becoming an agricultural educator? 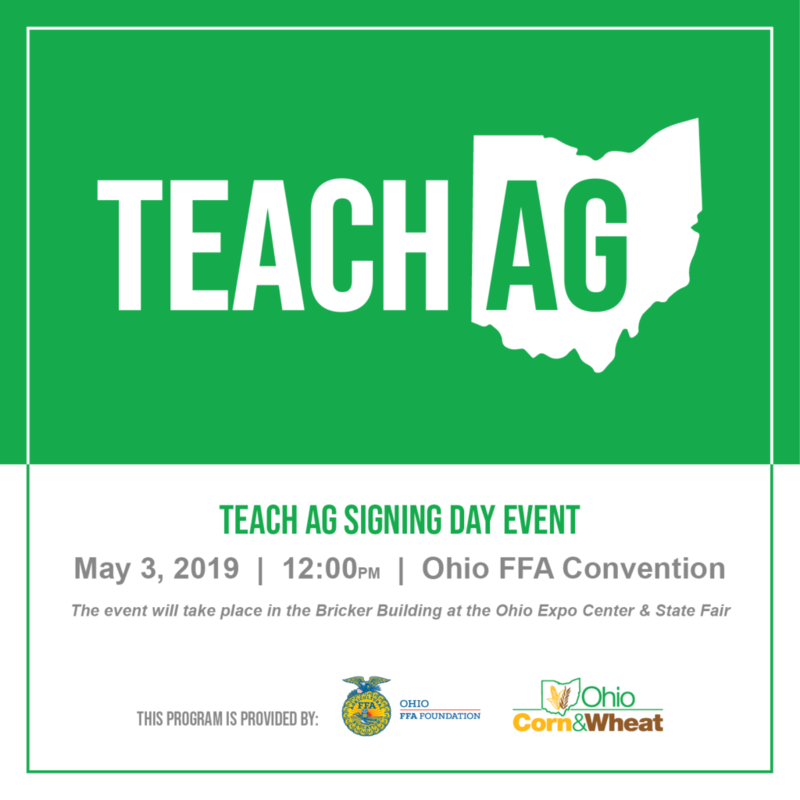 Sign up for a special Teach Ag signing event at the 91st Ohio FFA Convention on Friday, May 3 at 12:00 pm. High school seniors that sign to study agricultural education will receive a special gift package. Students can register for the Teach Ag Signing Day event here by Friday, April 19, 2019.